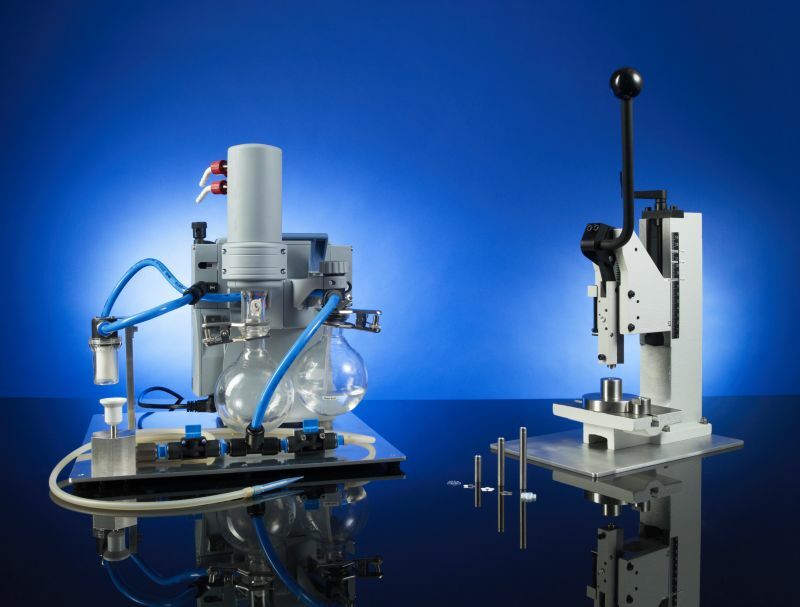 The CatCart Packer™ enables the users to pack their own catalysts and reagents into cartridges and screen them for rapid reaction optimization. In addition to speed, the instrument will allow users to explore how their current chemistry and processes can benefit by using flow reactors. Safe: the CatCart Packer™ is equipped with a water trap and a filter to catch any waste catalyst, preventing it from dispersing in the laboratory environment or catch on fire if it is pyrophoric. The vacuum system holds the empty CatCart® in place while suction is applied at the bottom end of it to draw catalyst into the cartridge. With the help of the hoover nozzle, the user can easily remove any excess of catalyst. Once the right amount of catalyst is put inside the CatCart®, should be sealed with the CatCart® filter and sealing system using the mechanical press. 30 or 70 mm CatCart® with one end sealed with 8 µm filter (empty) – The cartridge is sealed at one end, allowing the user to fill the cartridge with catalyst or reagent. CatCart® filter and sealing package for 8 µm filter – Allows the user to seal the open end of the cartridge. The filter parts come in packs of 10.